Shaking hands at the party, you listen to the names and introduce yourself to new faces. As you move onto the next hand, their names fly out of your memory. The only names that stick are the ones that are unique and seem to match the person shaking your hand perfectly. Your domain name is just as important for standing out from the crowd of competitors within your industry. Without the right name, you run the risk of becoming another voice drowning in the noise of today’s busy marketing. Your goal should instead be to pick a name that sounds unique, is easy to remember, and also feels like a perfect fit for the products or services you’re selling. Instead of trying to compete with every business online, research competitors within your industry and find out what they’re using for a domain. With similar products and services, you’re likely to see a pattern emerge that you can play off of and choose a name that stands out from the rest. Combining words, or being creative with unique TLDs can help differentiate your business. If your local coffee shop is competing with four other coffee shops in the same small town, your domain name needs to compete with TomsCafe.com and NicksCafe.com. With a more creative name and TLD combination like BeanStreet.coffee, your audience is more likely to remember your business over the others. If no one can remember how to type your domain name into the web browser you may have created a name that is too unique. The easier it is to type your domain name into a web browser, the more your name pops into the minds of customers first. Typically, the shorter you can keep your domain name, the better. Your name may be unique and clever, but if it’s long, like CaffeineAddictedAfficianadoes.com, customers may stop typing. Instead, keep your domain name to one or two words that quickly identify your website’s goals. CoffeeLove.club is easy to remember, would look good on a mug, and even shows that your organization is a club. While you could easily select a creative and interesting domain name out of a hat, choosing one that fits your business is a little more difficult. Your goal is to select a domain name that relates to your business and hints at the products or services you’re offering. If your business is different from your competitors, use your domain name to highlight that difference. If you’re marketing to more high-end customers, a domain name like VelvetCoffeeRoast.com is going to appeal more than HotMugCoffee.com. There’s a chance that your ideal domain may already be taken, but that doesn’t mean you’re out of options. 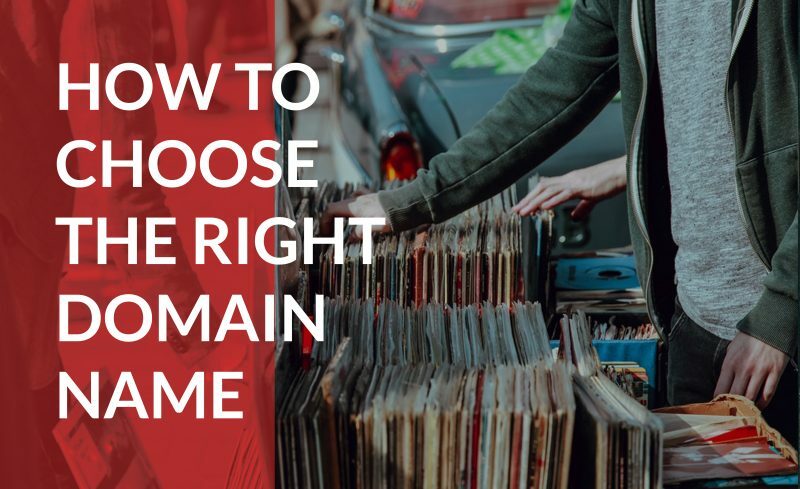 You could simply come up with another domain name that works just as well for your organization, but if your heart is set, you can also approach the owner after a WhoIs search and ask if they’re interested in selling the name to you. Another way around a taken domain name is to tweak your idea. Instead of using the .com TLD, a .club or .io TLD may still be available and suit your needs all the same. Try combining different words or choosing a unique spelling to establish a unique brand around your domain name, for example, like DunkinDonuts.com popularizing a simpler spelling of doughnuts. Yes, it’s supposed to be doughnut. The names you didn’t hear or simply forgot at the party are probably attached to nice people with a story you’d be interested to learn, but with the music turned up so loud, it’s no wonder you can’t remember which face belongs to Steve. Make sure your business stands out among the noise with a domain name that suits your business, products, and services, and is also unique enough to be remembered. When you have a name that stands out, customers listen to what you have to say and want to know what you have to sell.